exotically (German Birkenstock-practicality seems to have won out over French fancy here). Still, a walk along the Rhine River is always a pleasure, and Basel does come through in terms of history and culture. It was the home of Erasmus and Nietzsche, and is today one of Europe's centers for Early Music due to the Schola Cantorum. Opera is alive and well, and the museums are splendid, especially the Fondation Beyeler. The annual Art Basel fair is one of the art world's blockbuster events. Less enchanting are the pharmaceutical giants like Novartis who make their home in Basel, but that's all part of the overall equilibrium of this city. Basel is one of the most amazing cities in which I was so far. Take a walk along the Rhine and in summer you can even swim in it with a "swim bag". There are many bars and nightclubs and the people are very friendly. Absolutely loved it! intresting city with everything you need, nothing total extraordinary but worth to visit. I really enjoyed spending a few days in Basel. It's a charming little city on the River, with a relatively conservative in fashion (think loads of Birkenstocks) yet creative in art population. The Elisabethenkirche is an interesting church which is pretty much non-religious and hosts all sort of performances, while there are also some great art museums and the opera. 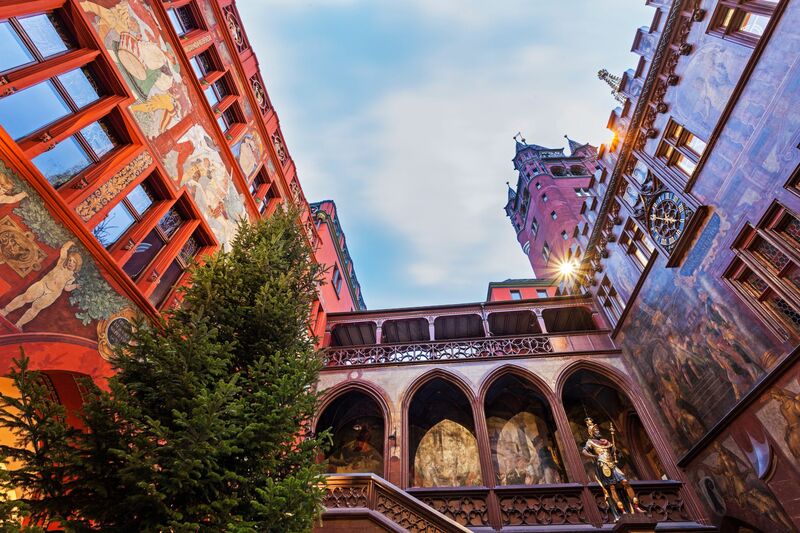 Early Music (baroque and medieval) is also a specialty in Basel because of one of the world's leading conservatories for its performance being located here. Food is a little expensive, as is coffee, but the city is easy to navigate by tram or bike, and worth a visit. Loved Basel. Great location with excellent transportation to almost anywhere in Switzerland. The city has a very efficient tram system and you get a free pass if you are staying at one of the hotels. Food was expensive but we found reasonable prices at the supermarket eateries. Basel is one of my favorite Swiss visits. Located at the corner with France and Germany, Basel is still very Swiss with tons of local touches. The river of course seems to be at the center of things. While I was there during the Fall, I just want to go back to the "float down the river" during the summer. Nonetheless, if you end up in Basel during the fall don't miss the Fall Fair and sample the spiced bread "Magenbrot" and other fun local treats. Everyone rides a bike in Basel and all in all the city is really walkable, with tons of good restaurants, things to do, and fun lively atmosphere. Basel is a cosmopolitan city with all the offerings of a European city. Chocolate is plentiful and the Starbucks is right around the corner! Basel is a gorgeous city. It is one of Switzerland's main cultural centers. The city is comprised of many theaters and museums. Two can't miss places in Basel are the Kunstmuseum and the Puppenhausmuseum. The Puppenhausmuseum claims to have the world's largest collection of teddy bears. Furthermore their is the famous Basel theater that was named "Opera House of the Year" in 2009 and 2010.